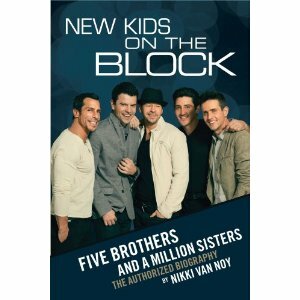 Here is the cover art for New Kids on the Block: Five Brothers and a Million Sisters, which will be released on October 2, 2012. The book is written by Nikki Van Noy and is an authorized biography featuring stories from NKOTB and their fans. If you "like" the cover on their Facebook page, you could be randomly selected to win one of 5 free advance reading copies! Que salga la version en espanol please! !